T House, originally uploaded by jumpnjoey16. 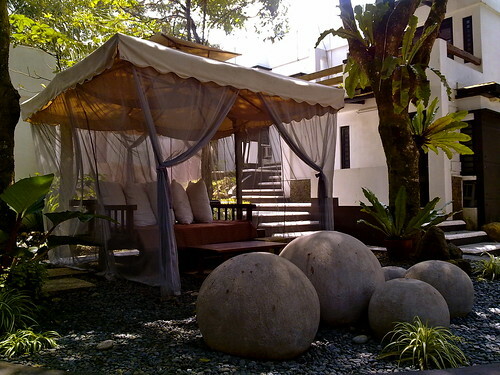 T house is one of our favorite destinations in Tagaytay. it's a boutique hotel with Zen surroundings. This photo was taken almost two years ago using my old N97 phone. I must say that for a camera phone - the N97 did capture beautiful shots. Right now - my two phones - the Blackberry bold and the HTC Hero cannot compare with the N97. Too bad - that phone was actually a good camera - but as a phone --- i didn't like it much.